Wiltrud has had a double life as a singer: She has developed her own style of jazz, folk and world music with musicians and producers rooted in New York while also performing as a classical solo soprano in Germany. Wiltrud wanted to bridge these two worlds with her voiceto be authentic and whole as a singer, free in her expression. She wanted to sing to all generations and to people from different backgrounds without the constraint of musical boundaries. To attract a more diverse audience and expose typical classical circles to new styles, Wiltrud began to develop a unique blend of classical, jazz and world beats. 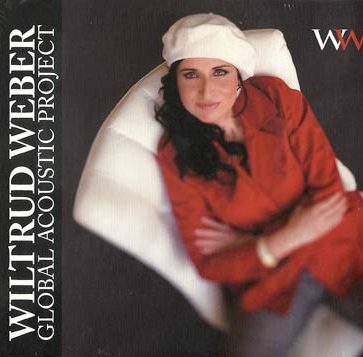 Singing in numerous languages, she developed the “Wiltrud Weber’s Global Acoustic Project” and began performing at The Gershwin Hotel in New York City. She also regularly performs at the Bodensee Festival in Germany with thehigh talented musicians Gregor Huebner (violin), Bobbi Fischer (piano) und Veit Huebner (bass), also known as “Tango Five”, captivating audiences with a refreshing blend of classical traditions and jazzy/world music beats. Wiltrud is committed to singing each song in its original language. In addition to the pleasure she derives from the discipline, she finds it is another powerful tool to bring people from all sorts of cultures and countries together in harmonypeople who under normal circumstances rarely share the same stage or room. “Blue and Deep,” the first single of Wiltrud Weber’s electrifying collaboration with Jephte Guillaume, was released on vinyl in May 2008. Wiltrud’s multi-linguistic, sensual opera-tinged singing navigates Jephte’s Haitian-drenched tracks, edgy electronica and acoustic and organic arrangements. The song found extremely heavy rotation at the Winter Music Conference in Miami (March 2008) and has become all the rage among dance music DJs around the world. Wiltrud and Guillaume’s much-anticipated album “Berlin in New York” is slated to be released in 2010. Witrud Weber’s Global Acoustic Project 29.07.2010.